Samuel Thompson Essel, Chief Executive of Financial Intelligence Centre (FIC), says criminals have currently invaded the Mobile Money platforms to perpetrate their illegal trade. According to FIC Boss, the Mobile Money platform might be the next big challenge in dealing with money laundering if telecommunications companies and financial companies do not put serious security measures in place. 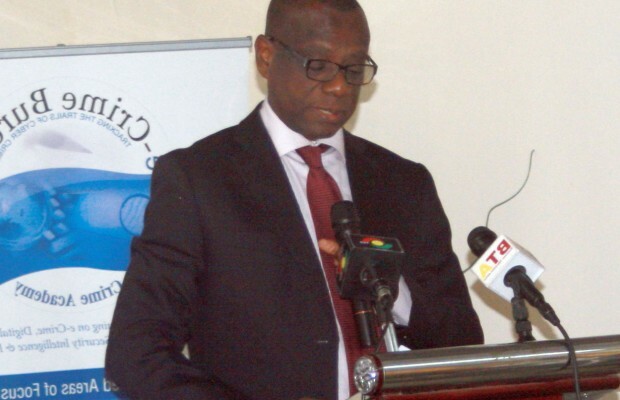 Speaking at a workshop yesterday in Accra on cash handling and security, Mr Essel stated that the registration of SIM cards by the telecommunication companies had not entirely prevented criminals from accessing mobile networks for their fraudulent activities. The cash handling and security workshop is an annual event designed to create the platform to bring stakeholders within the cash handling ecosystem together to deliberate on challenges and best practices to enhance cash handling and management within the financial services and other allied sectors. “Currently, criminals operating on the internet have resorted to the use of mobile money payments to perpetrate their illicit trade. Issues of identification of Mobile Money patrons–both physical and electronic identity will thus become a major challenge in combating money laundering if stakeholders do not marshal forces to adequately regulate this sector,” he said. He added that efforts being made by stakeholders to ensure uniformity of customer identification procedures on the mobile money platform needs to be commended. “In particular, effectuating the provisions of the National Identity Register Law, 2008 (Act 750) with respect to mandatory use of the national identity card in conducting transactions and registration of SIM is very crucial. Accordingly, the National Identification Authority (NIA) needs to shore up its operations to achieve the desired mandate,” he noted. Albert Antwi-Boasiako, Founder and Principal Consultant at e-Crime Bureau, also disclosed that it was important to create awareness of the risk that the Mobile Money platform poses in order to put the necessary mechanisms in place to avert any unforeseen events relating to security. “Security implications of mobile money have to do with identity of mobile money patrons. “We have instances whereby criminal suspects have actually used fraudulent documents to register SIM cards and other things. We need to come to terms to know what is coming in the industry so that we stay one step ahead of the fraudster,” Mr Antwi-Boasiako said. He said the electronic platforms required constant monitoring and auditing to ensure that they are fit for purpose. “Security is work in progress. We also need to be aware of the emerging dimensions, share best practices on how to prevent and detect some of these issues. The risk we are exposed to is technology like hacking threats, software configuration issues and insider related attacks, among others,” he disclosed.